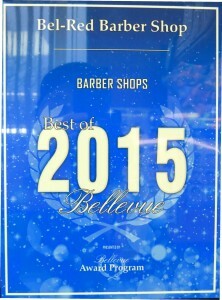 Our barber shop has been serving the Eastside for over thirty years. 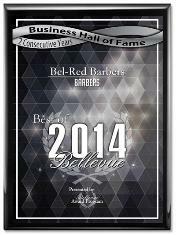 We are one of the largest barber shops in Bellevue with 10 full-time barbers. The present owner has worked at the shop for 20 years and purchased the business in 2006. We are a family run business with five active family members. Our livelihood depends on quality service and customer loyalty. We are always looking for licensed barbers and cosmetologists who are eager to grow with our business. Our average barber’s hourly earnings is 2-1/2 times more than the average barber’s wage reported in 2015 by the Bureau of Labor Statistics for Washington State. If you are interested in potential employment, please contact Won or James during business hours at 425-649-9133. We offer travel cost compensation assistance for long commutes. Try one of our friendly barbers for a super cut without the salon prices. 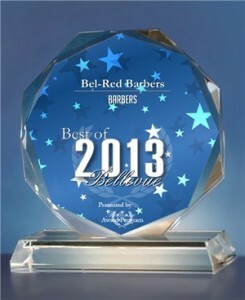 Bel-Red Barbers also offers the best products available.